A. The elaborate design of multi-use structure are applicable to all kind of drawer basket. B. 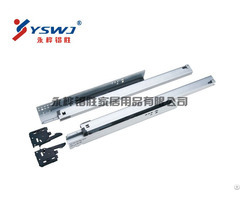 The bearing capacity is up to 35KG. To meet the requirements of modern household strong receive. C. The special damper system to make it steady in and out. D. All open slide. For more convenient use. E. Galvanized surface, use for a long time not corrosion. F. Bottom design, do not take up space. G.Easily assembling is greatly improve the efficiency of installation work. Business Description: Yongsheng Furniture Cabinet Bathroom Fittings Factory is a professional enterprise integrating research and development, production and sales. The manufacturing base is located in Dashi Industrial Zone of Nanhai of Foshan. The company has 25 histories since its founding and it is one of the earliest enterprises which engages in the production of professional furniture hardware fittings in Guangdong Province and even in the whole country. 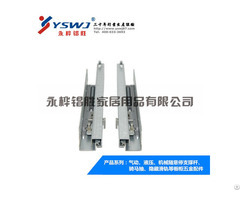 With the company continually developing and expanding, the brand of “YSWJ”is not only well-known at home but also enjoys high reputation and popularity abroad. 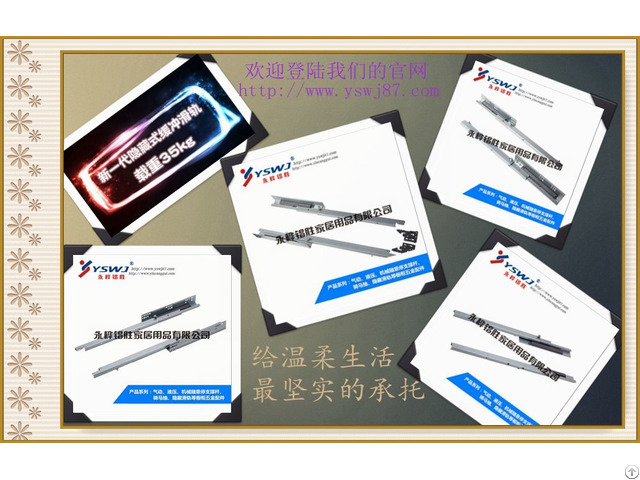 The products are with new, beautiful and practical design, masterful production technology, excellent quality, convenient and considerate after-sales service which makes the products of the brand of “YSWJ” not only being sold throughout the country, but also being exported to Europe, America, Southeast Asia, Japan, Korea and more than 30 countries and regions. The President of the company Chen Shengyong leads all employees to make efforts for expansion, to keep striving and pioneering, and to create a elite team with solid strength adhering to the business objectives of “ Credibility, innovation, pragmatism and harmony”. 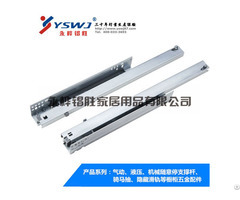 In the research and development center, we designed and developed 4 series of products by ourselves. Our company obtained more than 50 products patent certificates awarded by the State Intellectual Property Office successively, and obtained the title of “Top Ten Famous Brand of China Features Cabinet Bathroom Hardware Fittings Industry”and so on. In the marketing center, we have hundreds of products exclusive stores and sales offices all over the country and the world. Moreover we equip with engineers under full-time service so that we can provide professional technology guidances and after-sale services for the customers.